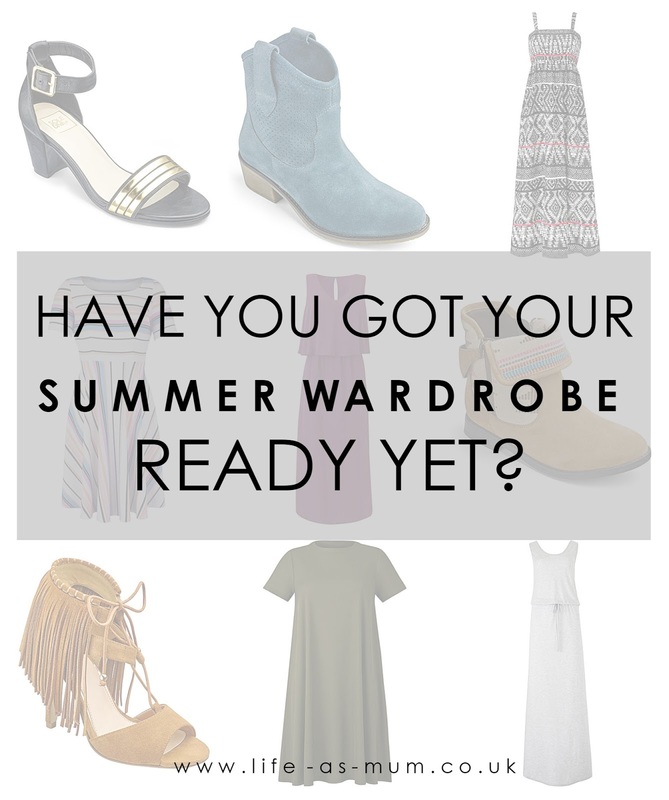 Have You Got Your Summer Wardrobe Ready Yet? After having rain and the cold weather for a long time I started to get really excited for the sun to come out and getting ready for summer. We have been really lucky that the weather has been warm and lovely for the past few weeks, with the odd rain here and there but not a lot to complain about. When the summer starts it's the time to bring your summer wardrobe out. Pack away those chunky jumpers and get those t-shirts and dresses out. Grey Jersey Maxi Dress - I love how nice and cool this dress looks. With it's stretch fabric and elastic waist, it would be be perfect material for me. These dresses are available in sizes 10-32 at just only £22.00. They also come in 3 different colours/styles. Tribal Print Maxi Dress - This dress really caught my eye. I love unusual patterns and thought this dress is the perfect dress for day wear, evening wear and even holiday wear. It looks really light and cool, perfect for summer. Available in size 10-32 at just £29.00 each. Bead Trim Maxi Dress - How stunning and beautiful is this dress? It would be perfect for evening wear and for only £72.00 you can't go wrong. This gorgeous dress is available in sizes 10-32. Be quick though as it is in the sales! Mid Olive Ribbed Swing Dress - You could team this swing dress with leggings or tights during the cooler days or winter and then wear it without tights in the summer. I love swing dresses and this olive colour is stunning. Perfect with sandals or ankle boots. There are 4 other colours available. Available in size 10-32 and you could buy this dress for only £20.00 which is a reasonable price. Layered Maxi Dress - This dress is perfect for day wear or even dressing up for the evening. With it's two layers, it is comfortable for you and looks fantastic day and night. You could dress this up with some lovely heels or sandals. Available in sizes 10-32 and a price at £31.00 it's not too bad. Multi Stripe Skater Dress - This dress comes in different colours but this certain striped skater dress caught my eye. It love it's style and you could easily wear this as day wear or evening wear. Perfect for a holiday dress too. Dress with sandals and it will complete the look. In sizes 10-32 and only £22.00. Shoe's are a girls best friend! As they say... I don't own many shoes but when summer comes I do try my best to find some nice sandals, paid or flip flops and some boots just in case. 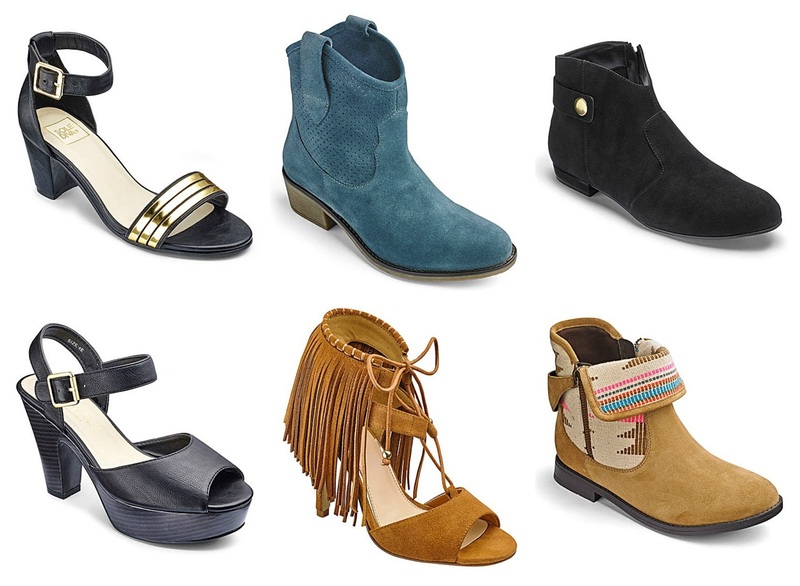 There are so many women's sandals to choose from. Most sandals are reasonably priced too. It's always best to wear a shoe that allows your feet a lot of air because of the heat of the sun. You don't have to wear sandals all through the summer though. Why not team up some ankle boots with a dress or shorts?